With iOS 9, you can request desktop site in Safari on your iPhone or iPad. Read this quick guide to know how to make it. Have a try on PhoneRescue – iOS data recovery so that you can easily recover lost data from iPhone iPad after iOS 9 update. 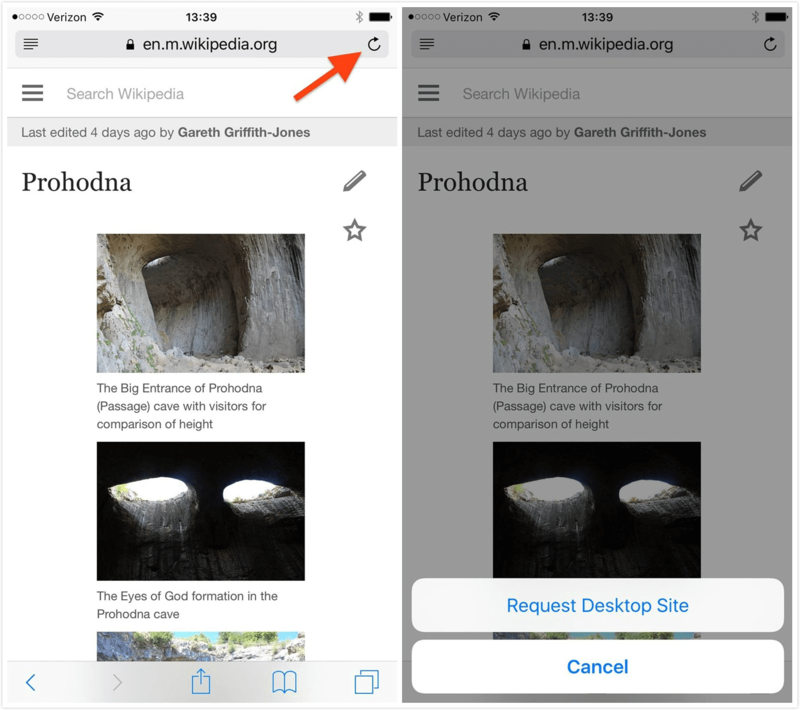 Now read this guide on how to request desktop site in iOS 9's Safari. With the increasing number of smartphone users, websites are also accessed on the mobile browser. Mobile sites are designed to consider speed and better browsing experience on these small screens. However, it would be a real hassle to navigate to some large screen desktop sites on your devices. 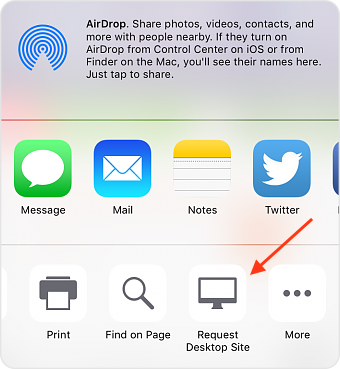 For iOS 8 users, they can request desktop site on iPhone iPad by tapping in the URL bar, pulling the page down, and then tapping on "Request Desktop Site." Well, not any more. The requesting process has been minimized to a single tap in iOS 9 Safari on your iPhone or iPad. Now read this guide to learn how to access the desktop version of a website in iOS 9 Safari. Step 1. Open Safari, and navigate to the site you want to visit. Step 2. Tap and hold the refresh icon in the URL of the site, and select the Request Desktop Site button. Note: Or you can also tap on the share button, scroll to the right and tap on the Request Desktop Site option to make it. If you want to make more room or speed up your iPhone iPad after iOS 9 update, you can refer to How to Free up Space on iOS 9 and How to Speed up iOS 9 Devices. If you have any questions on this guide, you can leave a comment in the below section.